Hoosier Reclaimed Timber supplies quality reclaimed wood products to builders, craftsman, and homeowners across the United States. 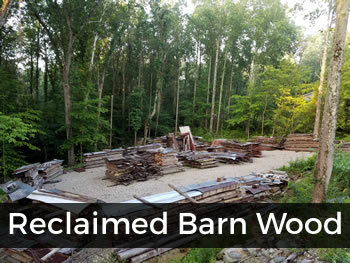 Our reclaimed timber and wood products are sourced from old historic barns, buildings, and storm trees. Our products are used in homes, restaurants, hotels, and retail stores. We believe fantastic wood products can be created from salvaged and reclaimed wood without cutting down trees to do it. Our customers love the story behind where our wood comes from. 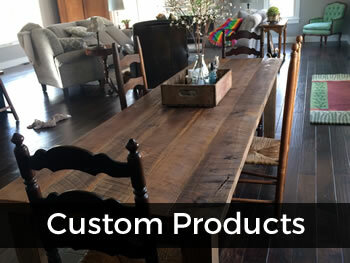 Our products have character and a unique one-of-kind "look" that simply can not be created using commercially produced lumber. We reuse all parts of the structures we dismantle, from the floor to the roof. We can wholesale bulk lumber and timber or create custom finished products especially for you. We provide a number of different products and services including portable sawmill service, barn removal, and custom furniture. 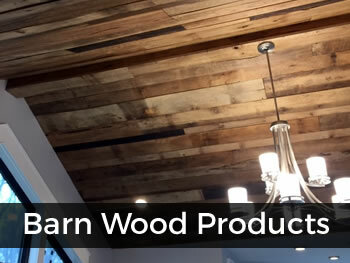 Please take the time to explore our website and discover what reclaimed wood products will work for your next project.